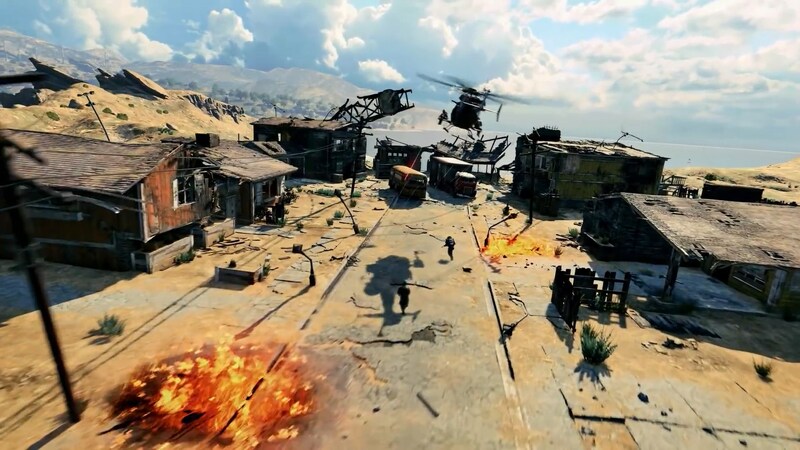 The Call of Duty: Black Ops 4 Blackout beta has only been available for two days, and developer Treyarch is already making big changes. The Call of Duty: Black Ops 4 Blackout beta received two major updates since it went live. The first major change is a simple increase to the player count from 80 to 88 per match. This increase applies to all three match types, too. Treyarch previously said it tested Blackout with more than 100 players internally, so we know player counts over 80 are possible. The other big change has to do with the time it takes to pick up items. The update made this process a little faster, but that’s about as fast as it can be without interfering with weapon reload. Both functions are mapped to the same button, which makes sense. The quick equip menu, which you bring up by clicking up on the Dpad, will now automatically disappear when you don’t use it for five seconds. This is another great change, because it frees up the player to focus on the fight. The sensor dart, one of the many tools players can find in Blackout, previously had an unlimited duration. Because the sensor dart can be attached to vehicles and the RC recon car, some used this unlimited availability as a way of permanently scanning a certain area for enemies. The sensor dart will now stop detecting enemies after two minutes. Looking ahead, Treyarch revealed that it’s looking into reports of intentional team killing. Though the developer is not yet ready to commit to turning friendly fire off completely, the idea is certainly on the table. Treyarch design director David Vonderhaar also confirmed that armor is being nerfed, with the change possibly going live tomorrow.